The Basic Law: Jerusalem, Capital of Israel. The Jerusalem Law (Hebrew: חוק יסוד: ירושלים בירת ישראל‎, Arabic: قانون القدس‎) is a common name of Basic Law: Jerusalem, Capital of Israel passed by the Knesset on 30 July 1980 (17th Av, 5740). Although the law did not use the term, the Israeli Supreme Court interpreted the law as an effective Annexation of East Jerusalem. The Jerusalem Law began as a private member's bill proposed by Geulah Cohen, whose original text stated that "the integrity and unity of greater Jerusalem (Yerushalayim rabati) in its boundaries after the Six-Day War shall not be violated." However, this clause was dropped after the first reading in the Knesset. As the Knesset thus declined to specify boundaries and did not use the words "annexation" or "sovereignty", Ian Lustick writes that "The consensus of legal scholars is that this action added nothing to the legal or administrative circumstance of the city, although, especially at the time, its passage was considered to have political importance and sparked a vigorous protest reaction from the world community." For example, United Nations Security Council Resolution 478, adopted on 20 August 1980 by 14 votes to none, with 1 abstention (United States), declared soon after that the law was "null and void" and "must be rescinded". This resolution called upon member states to withdraw their diplomatic missions from the city. However, thirty-eight years later the United States relocated their Israeli embassy from Tel Aviv to Jerusalem on May 14, 2018 and other countries, including Paraguay and the Czech Republic expressed similar intentions. Although the law was not proposed by the governing coalition or Prime Minister Menachem Begin, rather, it was proposed by lawmakers concerned that peace negotiators were demanding that Arab residents of East Jerusalem be given votes in Palestinian Authority elections. As legislation, the Act is regarded as largely symbolic. An amendment in 2000 further specified the jurisdiction of the law, that included East Jerusalem. It actually did not change its range. The amendment also prohibited transfer of authority to a foreign body, for example an international regime. 4. 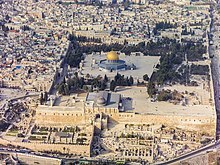 (a) The Government shall provide for the development and prosperity of Jerusalem and the well-being of its inhabitants by allocating special funds, including a special annual grant to the Municipality of Jerusalem (Capital City Grant) with the approval of the Finance Committee of the Knesset. (b) Jerusalem shall be given special priority in the activities of the authorities of the State so as to further its development in economic and other matters. (c) The Government shall set up a special body or special bodies for the implementation of this section. 5. The jurisdiction of Jerusalem includes, as pertaining to this basic law, among others, all of the area that is described in the appendix of the proclamation expanding the borders of municipal Jerusalem beginning the 20th of Sivan 5727 (June 28, 1967), as was given according to the Cities' Ordinance. 6. No authority that is stipulated in the law of the State of Israel or of the Jerusalem Municipality may be transferred either permanently or for an allotted period of time to a foreign body, whether political, governmental or to any other similar type of foreign body. 7. Clauses 5 and 6 shall not be modified except by a Basic Law passed by a majority of the members of the Knesset. Yitzchak Navon President of the State"
Published in Sefer Ha-Chukkim No. 980 of the 23rd Av, 5740 (5 August 1980), p. 186; the Bill and an Explanatory Note were published in Hatza'ot Chok No. 1464 of 5740, p. 287. ^ Eyal Benvenisti (23 February 2012). The International Law of Occupation. OUP Oxford. pp. 205–. ISBN 978-0-19-958889-3. ^ Naor, Arye. "Menachem Begin and “Basic Law: Jerusalem, Capital of Israel”." Israel Studies 21, no. 3 (2016): 36-48. doi:10.2979/israelstudies.21.3.03. ^ Zank, Michael. "The Jerusalem Basic Law (1980) and the Jerusalem Embassy Act (1995): A Comparative Investigation of Israeli and US Legislation on the Status of Jerusalem." Israel Studies 21, no. 3 (2016): 20-35. doi:10.2979/israelstudies.21.3.02. This page was last edited on 14 April 2019, at 11:22 (UTC).